have put me in a bad position. means my workload never ceases. to check and grade and reconcile. each sentence shuffled card by card. their logic looked at fact by fact. Each student had to write just one. Now handed in, their toils are done. and now regret assignments made. imprisoned by this grading task. destroying all my students’ fun. Yet I’ve created my own repentance. I gave myself the thesis sentence! This is a rewrite of a piece written over three years ago, when I first started this blog. My friend Ann Garcia, a former fellow teacher and friend for life (although we haven’t seen each other for almost thirty years) gave me the prompt to write a poem about an English teacher. Well, here it is with a stanza added to allow it to meet today’s prompt of degree as well. Pretty tricky, huh? This entry was posted in English Teachers, Humor, humorous poem, poems, Teacher and tagged Daily Post, Daily Prompt, essay about English teachers, humorous poetry, Humorous Rhymes, judy dykstra-brown essay, lament, poem about writing a thesis, teachers on December 9, 2017 by lifelessons. Hindsight: From Grief to Verb Tense and Beyond! The Prompt: Hindsight—Now that you’ve got some blogging experience under your belt, re-write your very first post. I’ve just sent the book I’ve been working on for 12 years to the printer!!!! 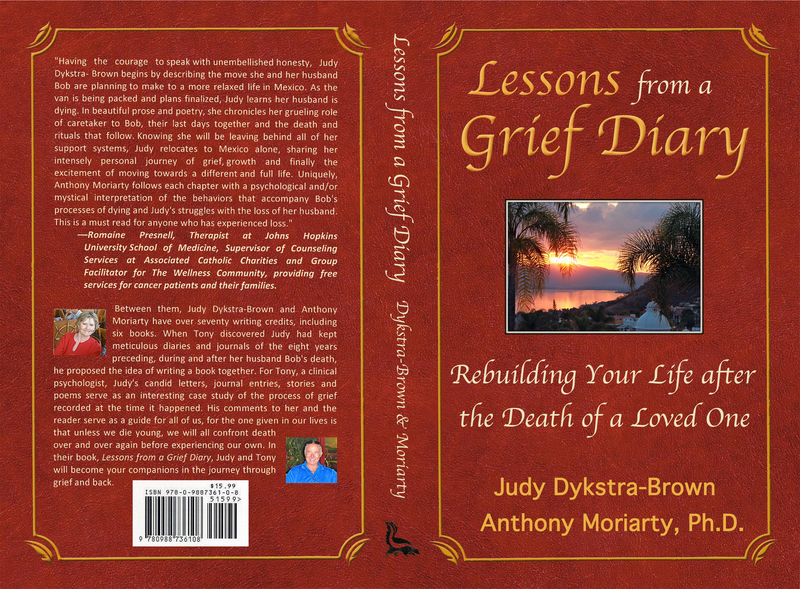 a new book by: Judy Dykstra-Brown and Anthony Moriarty, Ph.D.
A widow’s grief diary chronicling the illness and death of her husband as well as the process of her recovery from grief over the next eight years is analyzed in alternating chapters by a psychologist. Includes methods of overcoming grief, suggested further reading and ending notes that summarize main points of the book. Available on Amazon, Kindle and in Bookstores, including Diane Pearl Colecciones and Jose Melendrez’s store in the plaza in Ajijic, MX. Someone sent me an invitation from NaPoWriMo to write a poem a day for a month, but I need a website to post them. Since this is the only blog/website I have, I’m going to use this one. There will be a poem each day for a month, all written on the day they were posted, dashed off quickly, but what fun to have completed 30 poems by the end of the month. Please join me and post your poems here, as well. With that 4-line ditty, the course of this blog was reset and quickly became what it is today. This entry was posted in English Teachers, Humor, humorous poem, humorous poetry and tagged Daily Post, Daily Prompt, English Teacher, humorous poetry, lie lay errors on December 28, 2014 by lifelessons. and finishing off all my papers on Shakespeare or Becket or Bede. lugging around every textbook without really looking within it. When final week came, I was panicked. I studied all day and all night. Living on No Doz and coffee, my eyes were a terrible sight. my mind racing onward and onward as I searched for each insightful phrase. battled to come to the front and be heard when they came to be put to the test. 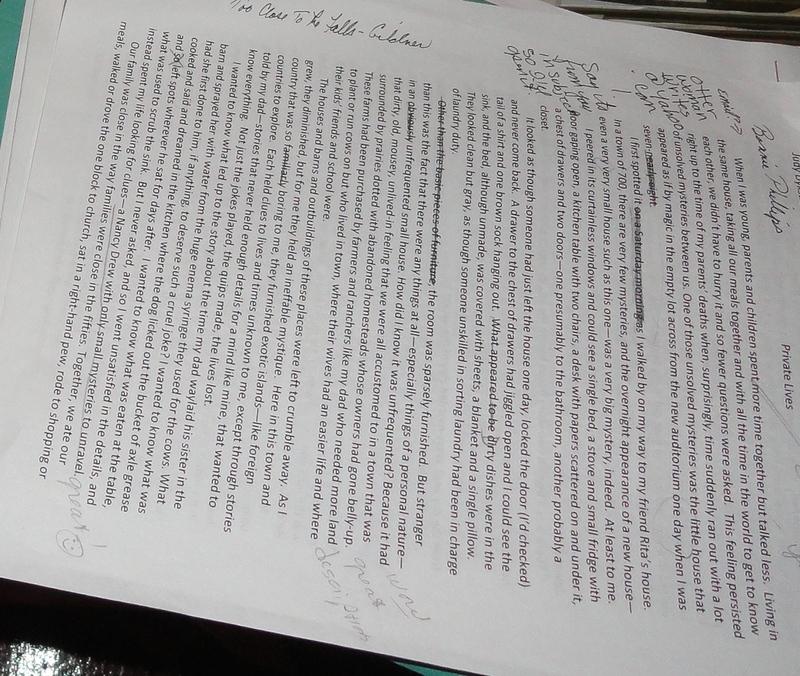 putting authors and symbols and figures and facts right out of my overstuffed head. In college I fear I was guilty. I put all things off just a smidge. I majored in procrastination and minored in marathon bridge! The Prompt: Big Day Ahead—It’s the night before an important event: a big exam, a major presentation, your wedding. How do you calm your nerves in preparation for the big day? This entry was posted in After Midnight, College memories, Compositions, Compulsions, English Teachers, Essays, Humor, humorous poetry, Poem, Poetry, Poetry by Prescription, Procrastination, Student, Wordpress Daily Prompt and tagged Cramming for tests, Daily Post, Daily Prompt, Humor, humorous poetry, Judy Dykstra-Brown, Judy Dykstra-Brown Poetry, poem, Poems, Poetry by prescription, procrastination, The Daily Post on October 4, 2014 by lifelessons. Today’s prompt was suggested by Ann Garcia, another “reformed” English teacher. Her prompt: Write a poem about grading homework. I have created my own repentance. NOTE TO READERS: I HAVE RUN OUT OF PROMPTS! IF YOU WANT TO SUGGEST A PROMPT FOR TOMORROW’S POEM, PLEASE SEND IT AS A COMMENT. This entry was posted in Compositions, English Teachers, Grading Papers, Humor, humorous poetry, Poem, Poetry, School, Schoolwork, Self-portrait, Teaching, Thesis Sentence, Writing and tagged English Teacher, Essays, grading papers, Humor, humorous poetry, poem, Poetry, Poetry by prescription, School, teaching, Thesis, thesis sentence on May 4, 2014 by lifelessons.